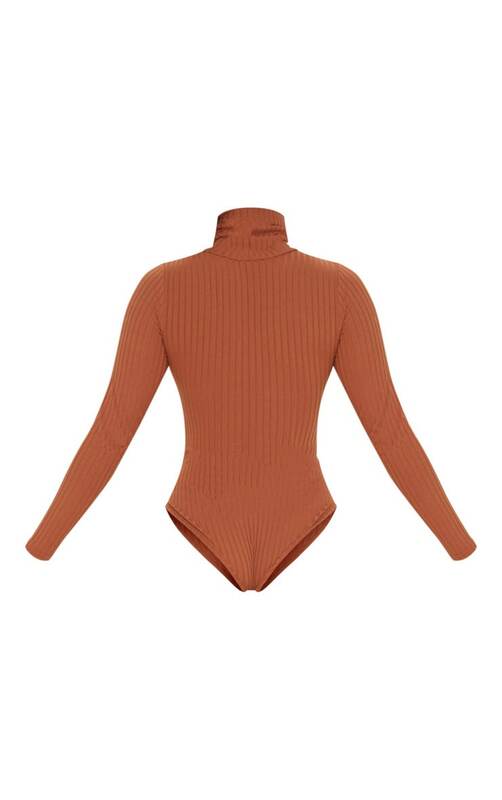 Add some neutral tones to your wardrobe with this bodysuit. 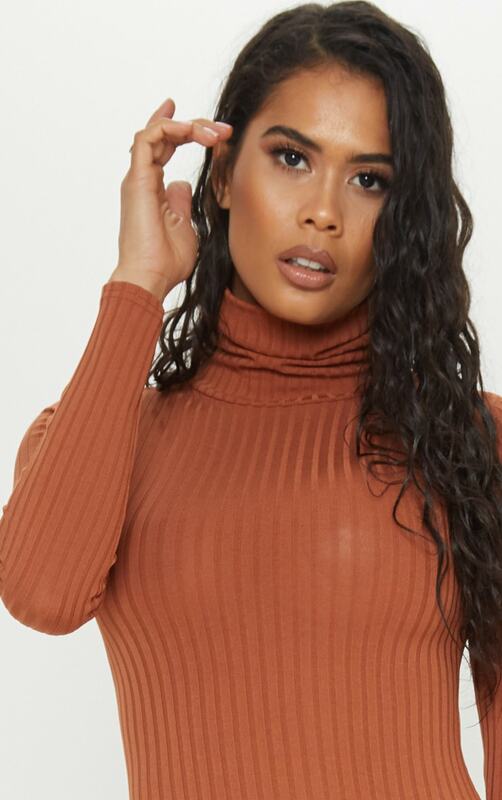 Featuring a burnt orange material with a roll neck and a popper fastening. Team this with cargo trousers and barely-there heels for a day to night look.